Big Appetizing Burger With Meat Cutlet, Vegetables, Cheese, Lettuce And Sauce. 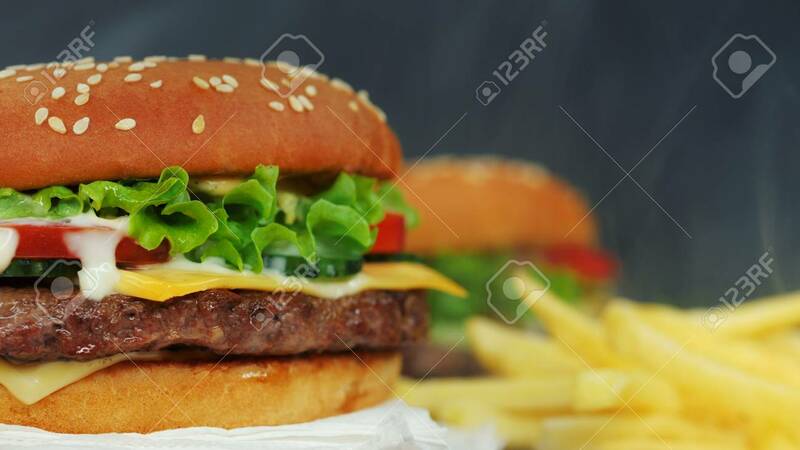 Hamburger Rotates On Other Meal Background, Close-up View. Unhealthy Yummy Food Concept Foto Royalty Free, Gravuras, Imagens E Banco De Fotografias. Image 113743668.